Project samples are on display at Alaska Bead Company! 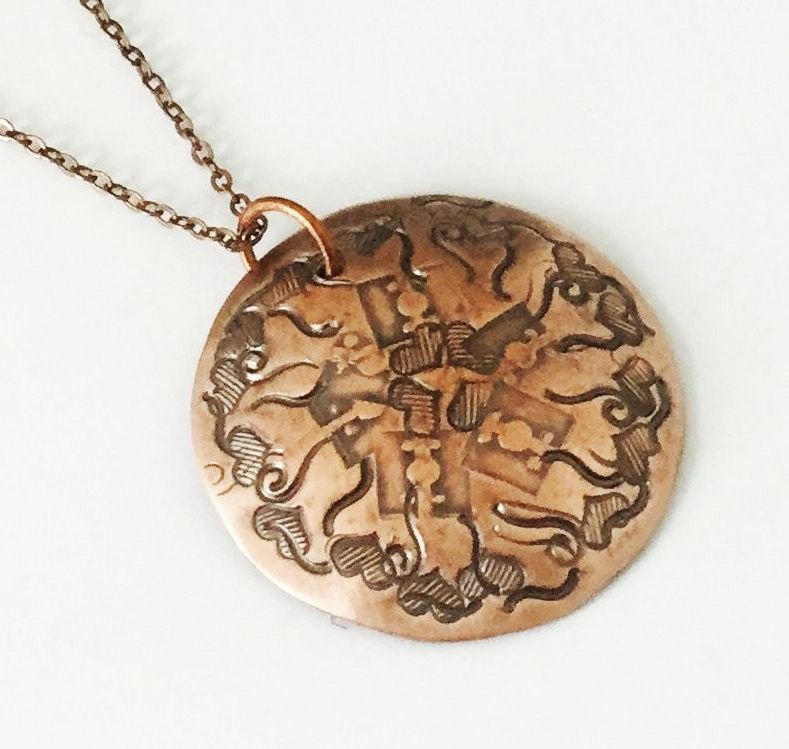 This is a great intro to metals class in which students will create four charms that can be used as pendants or earrings and one cuff. Students will learn stamping, doming, forming, and finishing techniques. No experience required. Kit Fee (payable in class): $40 includes: 4 pre-annealed copper discs, 1 pre-annealed copper cuff blank, jump rings, eyelets, plus the use of all required tools. Additional components may be purchased in class. 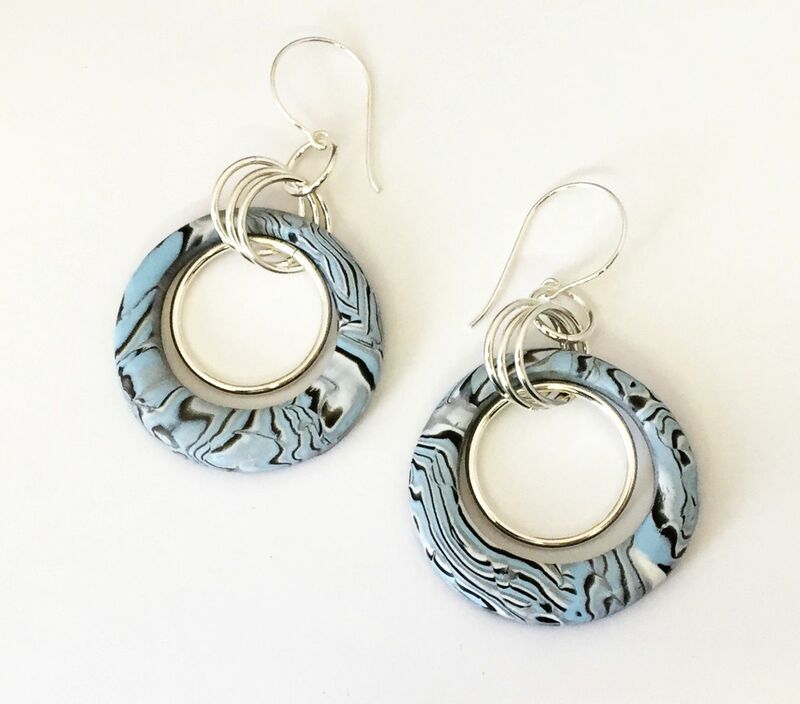 The light weight properties of polymer clay make it an ideal earring component. 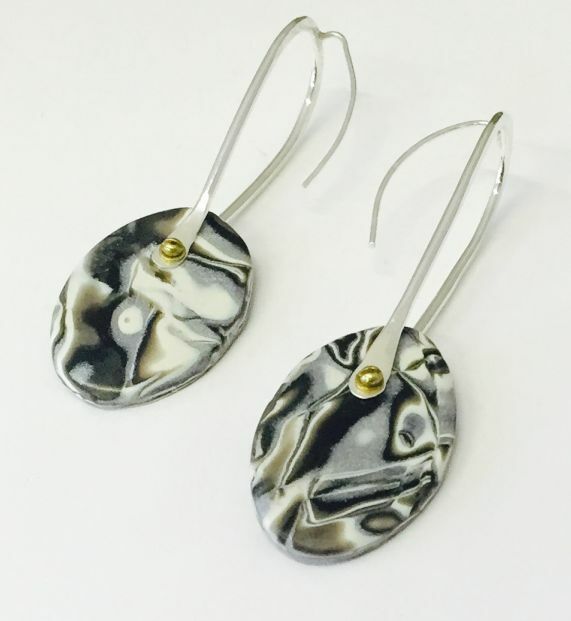 In this class students will create several pairs of polymer components that then will be set into pre-made components for truly unique earrings. 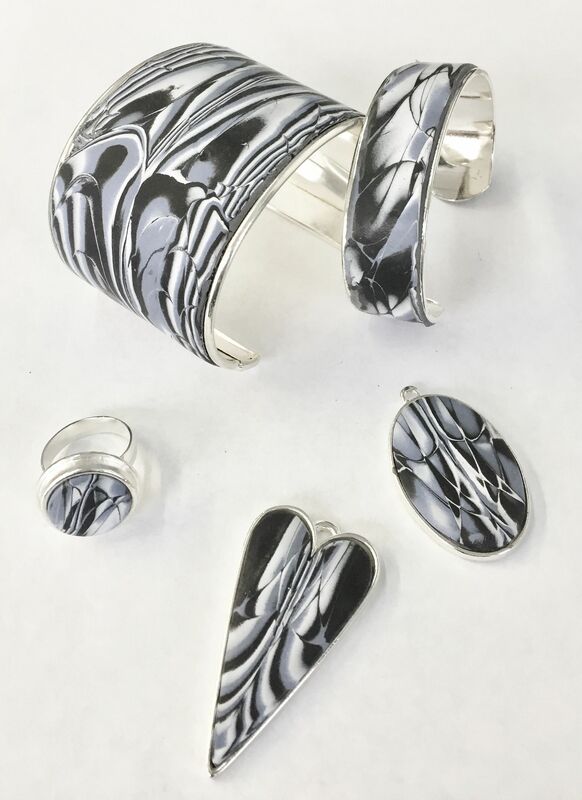 Students will learn how to create mirror images and polymer finishing techniques. No experience required. Kit Fee (payable in class): $40 includes: Polymer clay, components to create two pair of earrings, plus the use of all remaining required tools. Additional components may be purchased in class. 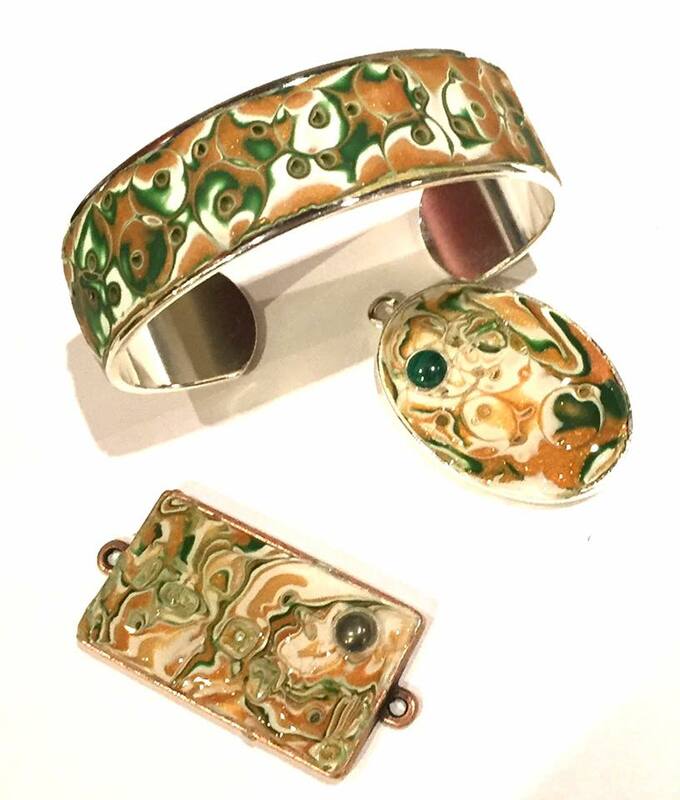 Tap your inner psychedelic chick vibe using a simple polymer clay technique combined with pre-made metal components. Students will be using a technique similar to mokume gane, which is a traditional Japanese method for laminating various colors of metals together and manipulating them to create patterns that resemble wood or stone patterns. Students will learn to create mokume gane slabs, install them into premade components, and polymer finishing techniques. No experience required. Kit Fee (payable in class): $40 includes: Polymer clay, one channel cuff, one bezel setting, plus the use of all remaining required tools. Additional components may be purchased in class. Create polymer designs in the style of retro artist Gustav Klimt. Students will learn how to make canes using an extruder, assemble the components into slabs, install them into premade components, and polymer finishing techniques. No experience required. Weaving wire is a wonderful way to add texture and dimension to any project. 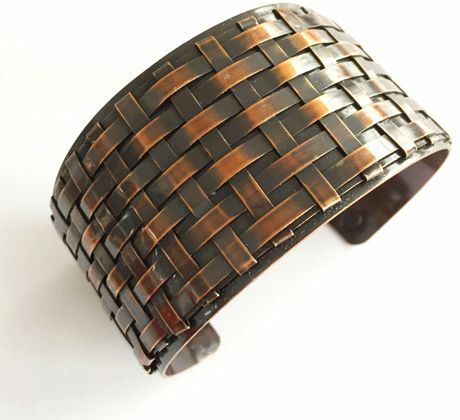 Students will learn to create their own woven wire sheet, and cold connect it to a cuff base while creating a dramatic cuff. Kit Fee (payable in class): $40 includes: Copper weaving wire, cuff base, and rivets, plus the use of all remaining required tools. Additional kits may be purchased in class. 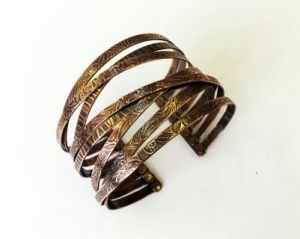 Get the look of multiple bangles without the jangle! Students will learn cold connections and finishing techniques. No experience required. Kit Fee (payable in class): $40 includes: Pre-textured copper metal strips and rivets, plus the use of all remaining required tools. Additional kits may be purchased in class. About Eva Sherman . . .
Eva Sherman began beading as a way to spend time with her daughters, but soon became hopelessly addicted. 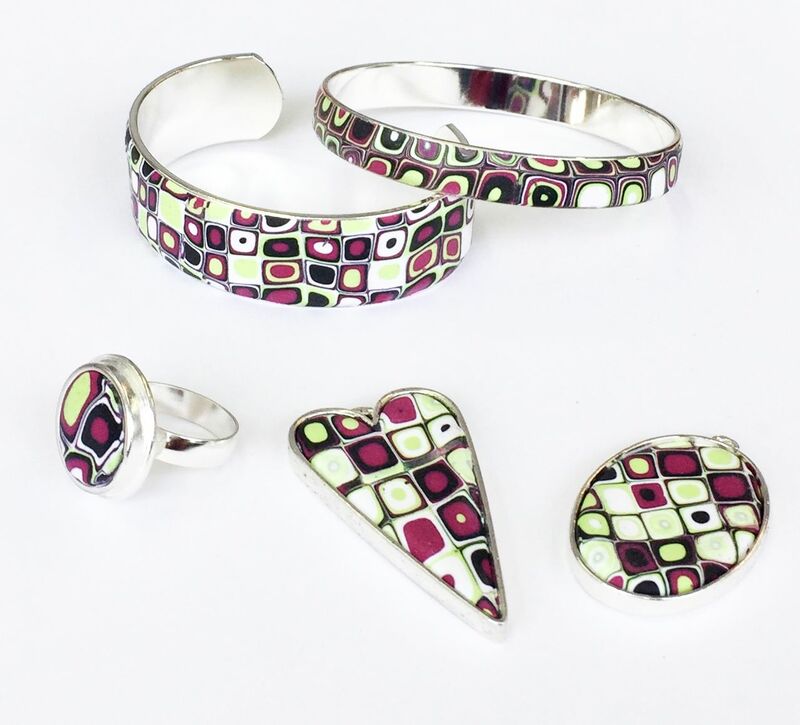 In 2005 she traded in her architectural career for the opportunity to spend all her time among beads and opened Grand River Bead Studio in Cleveland, Ohio. Eva now happily spends most days in the studio creating, writing, and teaching, but has been know to take her show on the road. She has discovered an affinity for working with wire and metals, and prefers to design in an organic and unstructured style. 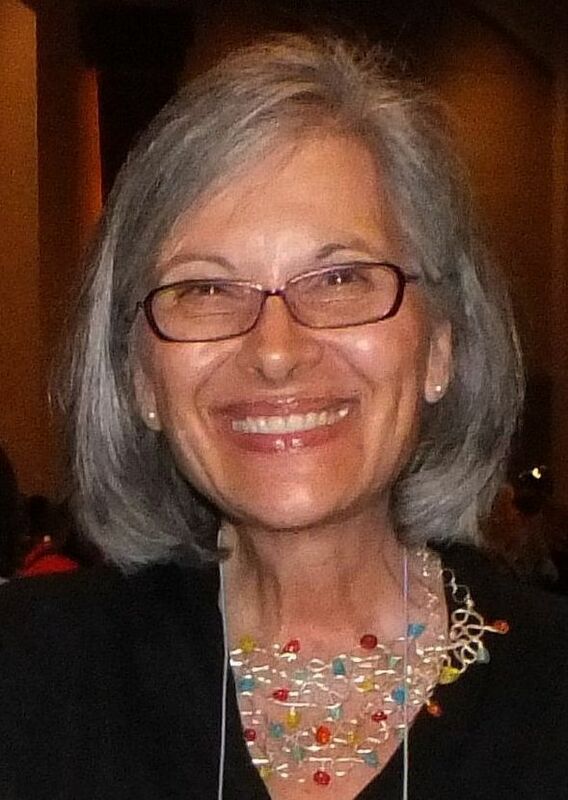 Eva has authored two books on jewelry design: "Organic Wire & Metal Jewelry" and "Cool Copper Cuffs."